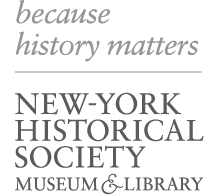 The New-York Historical Society is looking for a Museum Database Administrator to oversee and maintain it’s museum database using The Museum System (TMS). The database includes approximately 90,000 object records and 50,000 digital images. The ideal candidate should be highly skilled with database administration and knowledgeable about standard museum registration and collections management procedures. Maintaining database on Microsoft SQL server using SQL Server Management Studio; familiarity with SQL queries a must. Troubleshooting for both the TMS client and remote application, and integrated applications. Preparing collections metadata for upload to Artstor, Google Cultural Institute, and Islandora. This is largely a sedentary role using a computer; however, some filing is required. This would require the ability to lift files (up to 25 lbs), open filing cabinets, and bend or stoop as necessary.